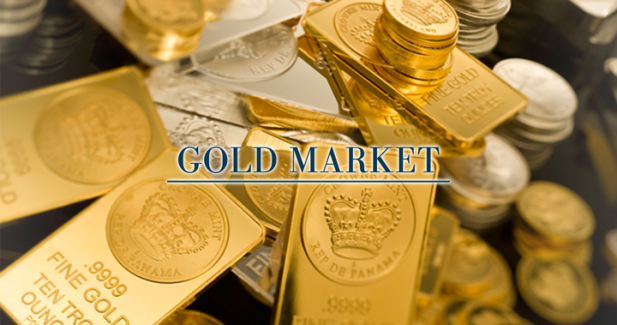 News of Innovative Securities - Gold market is capitulating – but reversal is on the corner? Over the past few weeks, the gold’s price fall has been accelerating and achieving fresh five year lows around 1080 dollar. Gold is down over 40% since making its respective high in 2011 above 1900. Last week’s ’collapse’ was due to the gold speculators selling over 55 tonnes of gold (in some minutes) in New York and Shanghai on June 20 around the opening hours following the PBOC's revelation that it held far less gold reserved than anticipated. 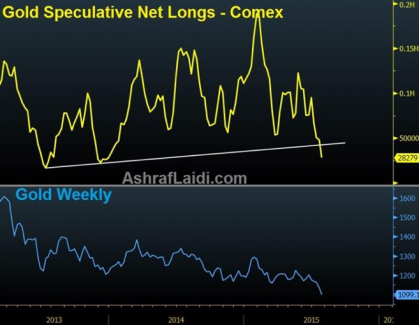 But the effect of last week's gold collapse has been revealed in the latest report of speculators' commitments from the Comex, showing net longs plunging 41% to 28,279 contracts, the biggest percentage decline since November 2013 according to Ashraf Laidi. But in the background we can also see the decreasing oil price, down over 20% since middle of June so the fear against disinflation is intensifying in an already low-inflation environment. On the other side, the growing likelihood of a rate hike by the Fed and the strong dollar also put pressure on the price of the gold. So in short term more downside should come, even if the 1080 level gives way to the technical selling, targeting the 1000-1050 area. But in middle and long term the inflation will be picking up globally that will affect the price of the raw materials and the precious metals also. It’ s worth to see the technical picture of the gold because in the last 2 years an ending diagonal has been forming and it seems to be in the final stage of the downside that easily could reach the 1000-1050 support level. But after some consolidation the reversal might happen and we should set a price target of 1400-1500 or even more in the coming years. The weekly chart of the gold from 2005/2006 and the technical pictureThis suggests building positions as a diversification tool in hard commodities - such as gold and oil will offer great relative value for investors nowadays as global inflation is due to begin to rise probably from 2016. But we should emphasize that this investing strategy needs a very clear risk management and long term commitment because of the volatility of the gold market and the potential short term downside pressure. Disclaimer: Innovative Securities’ Profit Gold can help you to invest easily in gold. This analysis is for general information and is not a recommendation to sell or buy any security. Since every investment holds some risk, our main business policy is based on diversification to minimize threats and maximize profits. This is important when considering any investment.